The decision rendered in Jam et al v. International Finance Corp has removed the blanket immunity that international organisations like the World Bank had previously enjoyed, where they were immune to claims in United States courts for commercial activities. This decision represents a development that is in lockstep with the growing accountability of States and investors which cause damage to the environment. This article gives an overview of what the case was about and outlines the significance of this decision for the Asia region. The author then places Jam et al in the context of the trend where international courts and arbitral tribunals have expanded accountability for States and investors which cause damage to the environment. These words commenced Professor Mary Ellen O’Connell’s keynote at the International Law Association’s 2018 Conference Dinner in Sydney. Professor O’Connell’s full remarks are available for download here. The Law Council of Australia is inviting students and practitioners with an interest in international law to attend the ILS International Law and Practice Course 2019. The course consists of a series of 10 monthly lectures, the first of which will be held on 15 March 2019 on the topic of EU law. Details of the subsequent lectures are set out below. The Law Council is offering ILA members a special reduced registration fee of $250 for the 10-lecture course (in lieu of $300). For information on registration and other enquiries, click here. To join the ILA and take advantage of the reduced registration fee, click here. In June 2018, the World Trade Organization (WTO) Panel in Australia – Plain Packaging affirmed that Australia’s tobacco plain packaging laws are consistent with its WTO obligations. The law and its accompanying regulations prohibit the use of colours, imagery, logos, fonts, scents, textures, pack shapes and promotional text (other than brand and variant name and consumer information) on tobacco packaging. The Panel rejected claims by Cuba, the Dominican Republic, Honduras and Indonesia that Australia’s tobacco plain packaging laws violated the World Trade Organization’s Agreement on Technical Barriers to Trade (TBT) and Agreement on Trade-Related Aspects of Intellectual Property Rights (TRIPS), and General Agreement on Tariffs and Trade (GATT). It found that plain packaging is ‘apt to, and does, contribute’ to the goal of reducing tobacco use and exposure to tobacco smoke, and that it is not more trade-restrictive than necessary to protect public health under article 2.2 of the TBT, nor does it infringe on any relevant intellectual property protections under TRIPS. 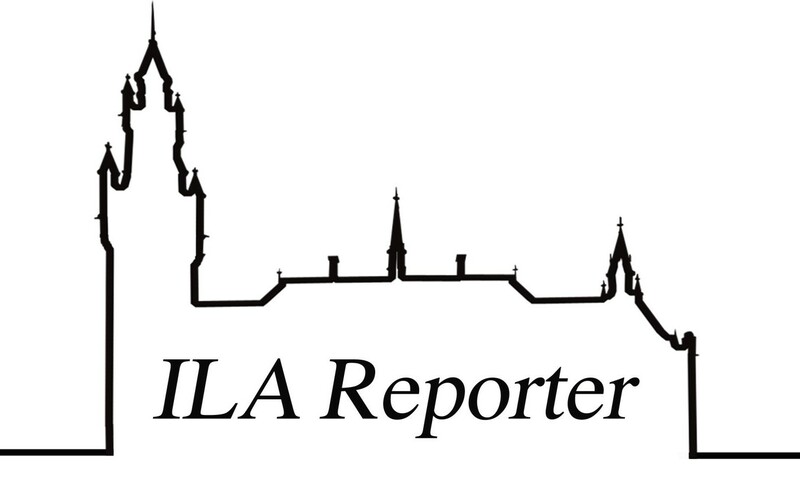 The ILA Reporter (ilareporter.org.au) is the official blog of the Australian Branch of the International Law Association (ILA). The ILA was founded in Brussels in 1873. It has consultative status, as an international non-governmental organisation, with a number of the United Nations specialised agencies. The ILA Reporter provides analysis, commentary and discussion on issues in public and private international law which have bearing on Australia and the wider region. The ILA Reporter accepts articles on a rolling basis from academics, legal practitioners, and students. This is a great opportunity to be published by a well-respected non-government organisation with a wide readership. The ILA Reporter accepts analytical articles, book reviews, case analysis, and recounts of recent events in the field of international law. It is preferable that articles have a connection with Australia. We are flexible as to the length of the article – anywhere between 400 and 2,000 words is ideal – and multi-part articles may be submitted. Articles must follow the citation guide, which is available here. Please contact the Editors, Molly Thomas and Evan Ritli, at editor@ilareporter.org.au with your proposal or completed article, or any queries you may have. On 4 October 1957, a Soviet space object, Sputnik I, was launched and subsequently orbited the earth over 1,400 times during the following three-month period. This milestone heralded the dawn of the space age, the space race (initially between the Soviet Union and the United States), and the legal regulation of the use and exploration of outer space.